In the coming weeks the first major step in the construction of the new park will take place. The city will release a request for proposals (RFP) on their website. When this happens, game on! This is the official start of the project and will attract the attention of the nations top skatepark build/design companies. We will let you know here first when this RFP is available. From there, Friends for Skateparks in conjunction with Parks and Rec and city officials will work to select a design/build company. Read this article to see an example of how this worked in Ann Arbor Michigan. Husband. Dad of 5. Simple Church Alliance Director. Skater. UK fan. Famous Rapper. Friends for Skateparks is a Lexington, Kentucky 501(c)(3) non-profit organization. It was founded in response to the growing need for additional public skateparks in Lexington. 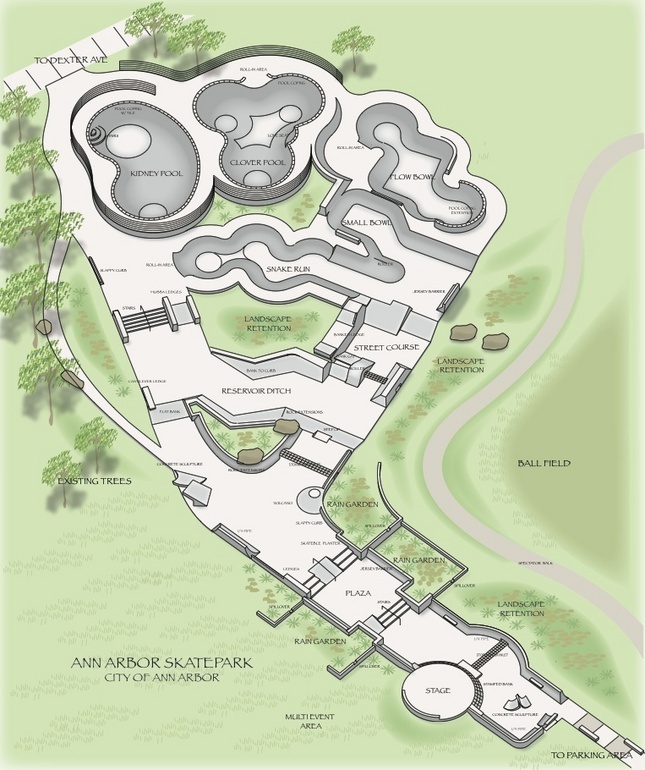 In early 2014, the founding members came together with a dream of building Berry Hill Skatepark, which opened to the public in the summer of 2015. Berry Hill was a success due to the collaboration and partnership between our organization and the Lexington Fayette Urban County Government. Building on our success, our mission today is to build new skateparks and to rehabilitate, expand and improve our existing skateparks by being a conduit between our community and the City. We will continue to raise awareness and seek support to invest in public skateparks for our community. Skateboarders in Lexington, Kentucky now have a voice! Follow our Facebook page or sign up for email updates for our blog posts to stay informed on Friends for Skateparks news and fundraising events. Click "Donate" above to help contribute! Subscribe to this site to follow the progress and receive updates on how you can submit design input! Enter your email address to receive new blog posts in your email inbox!